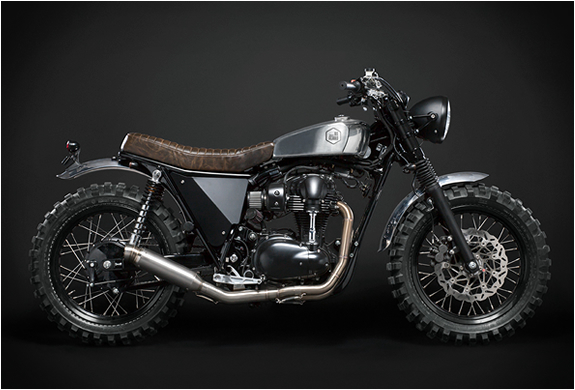 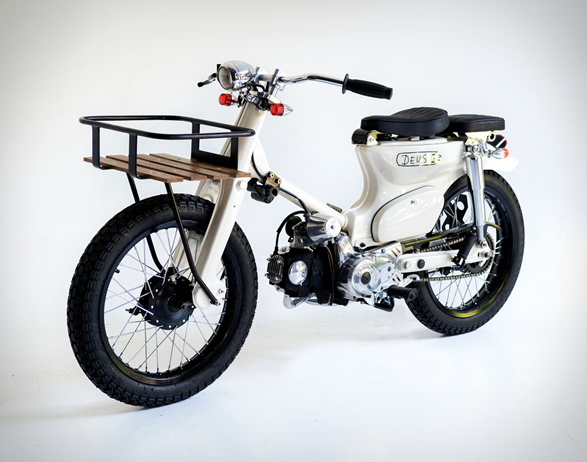 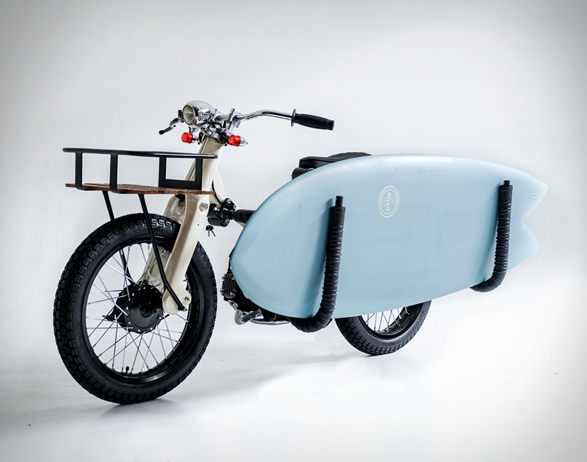 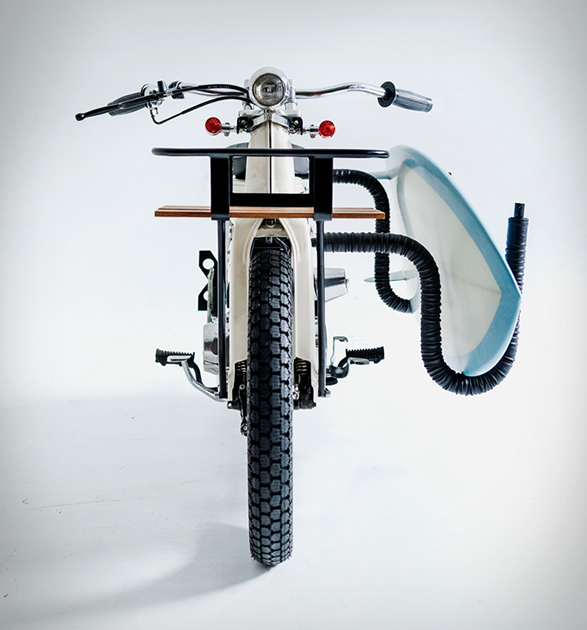 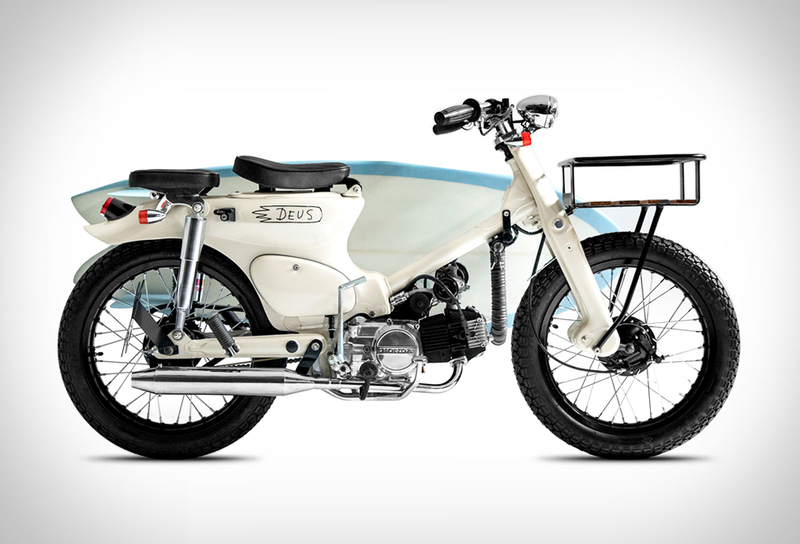 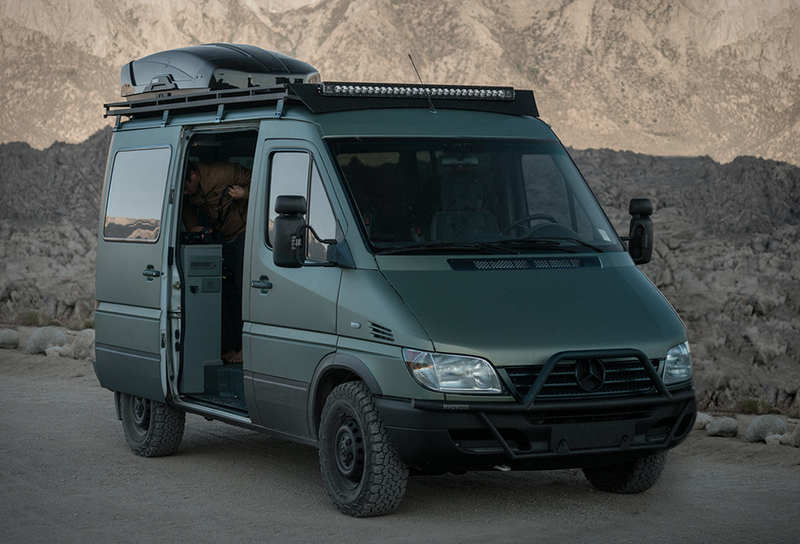 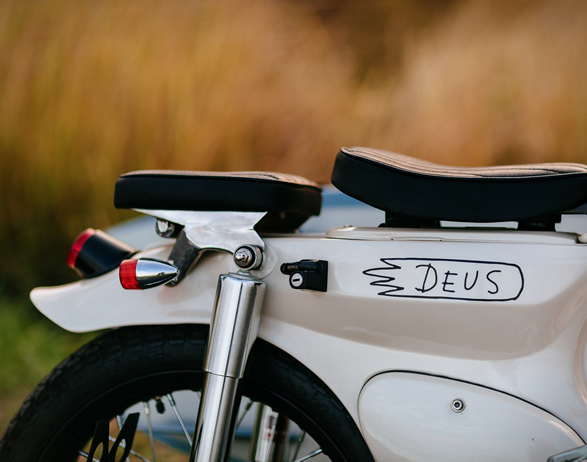 The talented team at Deus Customs have created the perfect ride for hitting the beach in style. 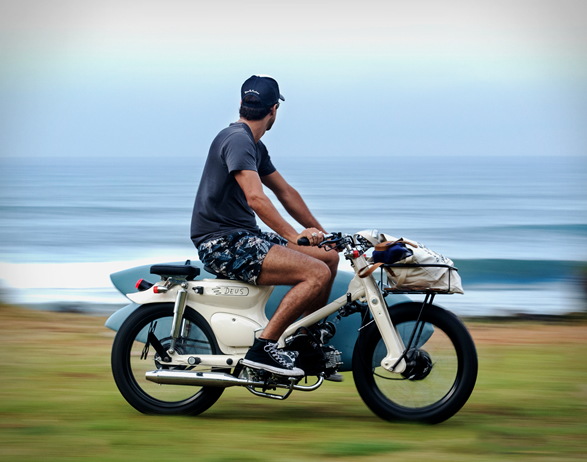 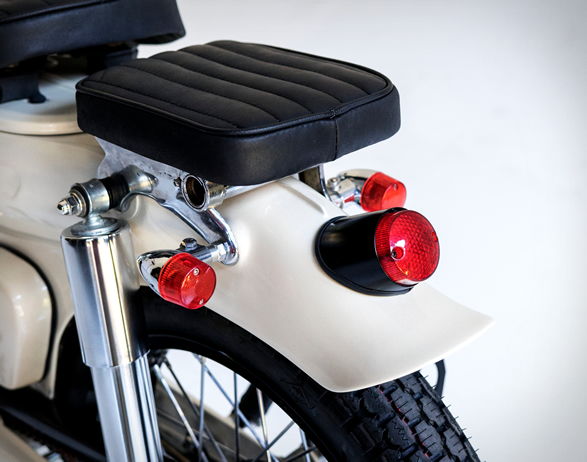 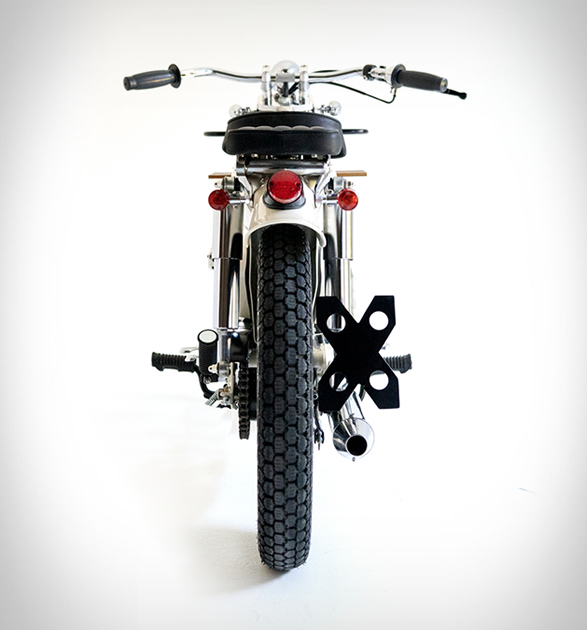 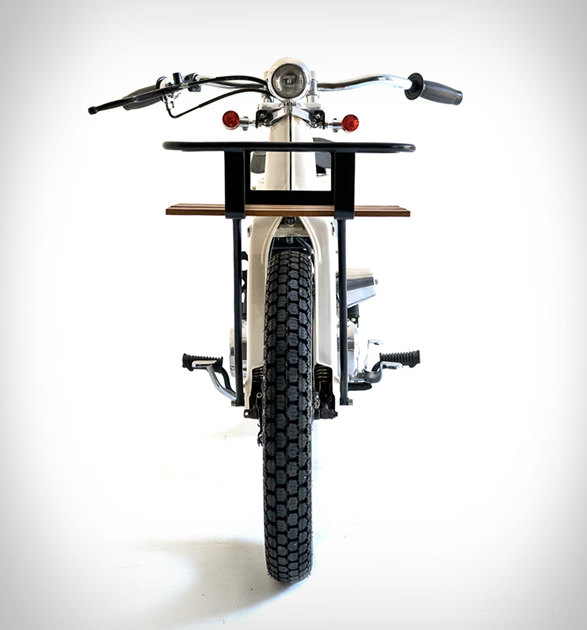 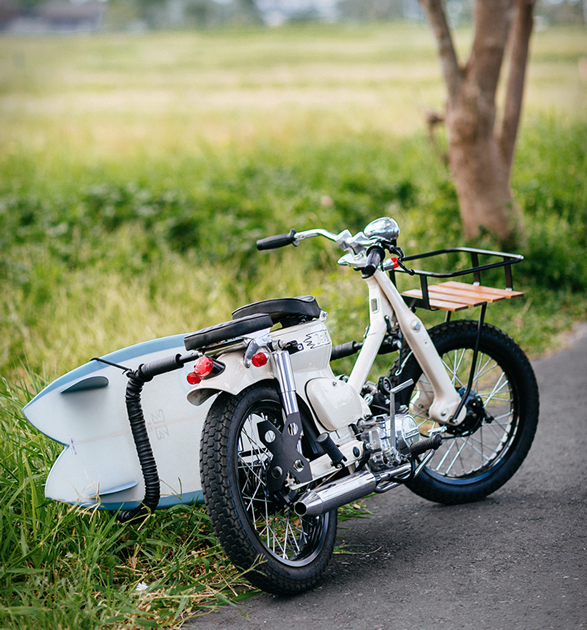 Based on a 1974 Honda Super Cub C70, the "Sea Sider” is a surf commuter built for the itinerant surfer, it features the engine from a 1995 Honda Astra for more power and better reliability, and some vintage bicycle pieces such as the handlebars and the front light. 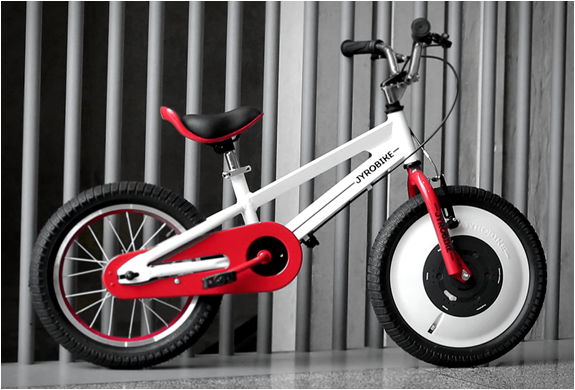 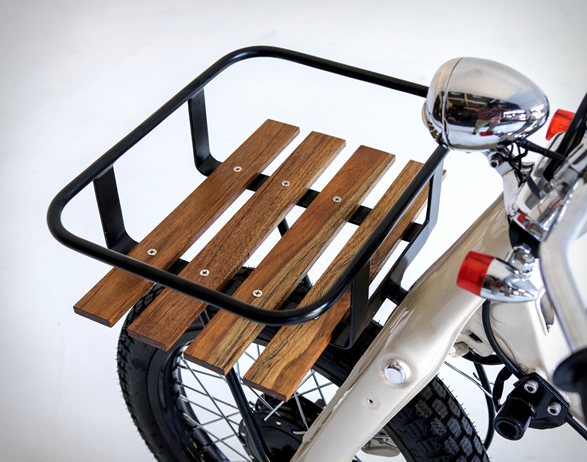 To add to the bicycle feel, a custom metal frame was cut and welded to form the front basket with treated wooden slats to give it the perfect nostalgic touch. 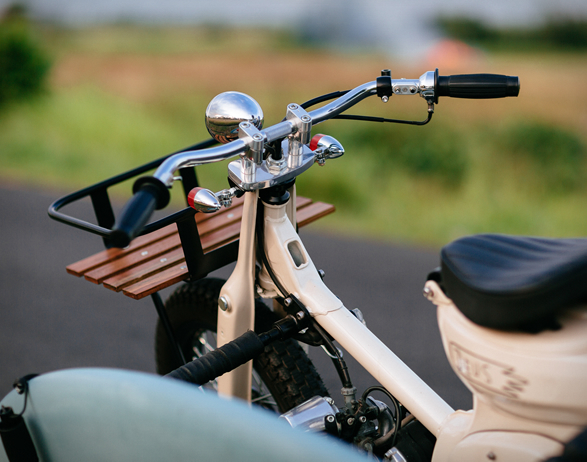 The look is complete with a custom hand-made exhaust, two custom leather seats, and an easy on/off surf-rack system built into the frame, making things much easier when you want that quick cruise down to the break.